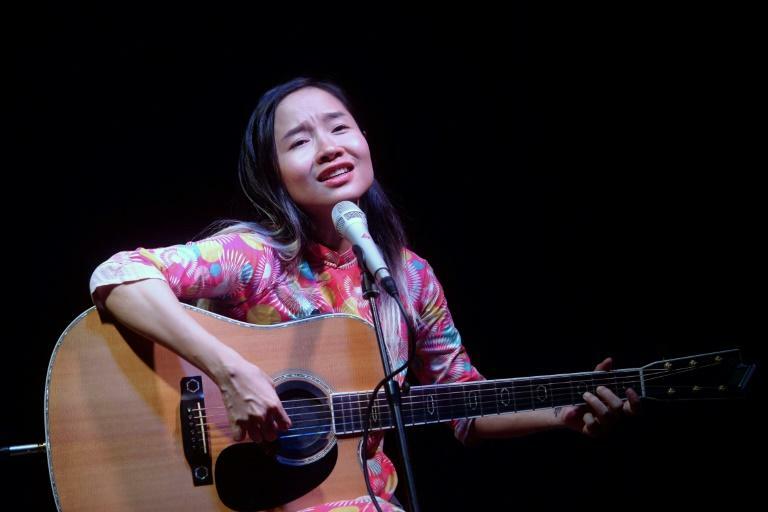 Mai Khoi, a dissident musician dubbed Vietnam's Lady Gaga, has appealed to Facebook's directors to safeguard freedom of expression as the government looks to bolster its control of the web. With 53 million users, Facebook is extremely popular in Vietnam -- where the internet has become a battleground for activists like Khoi. A controversial cybersecurity bill, due to come into effect in January, will require internet companies to remove "toxic" content and hand over user data if asked by the communist government to do so. It also requires firms to host servers in-country, which has sparked fears of further government meddling. "Protecting freedom of expression should be an official policy of Facebook, but sadly, it's not," Khoi told AFP during an interview at the city's airport. "Facebook is the only space in Vietnam where we can talk freely, express our mind freely and we can access uncensored information, and sometimes organize the peaceful protests. That's why the government is scared. So now they try to control Facebook," she said. "The crackdown is very heavy." Banned from selling her CDs and organising concerts, Khoi performs secret gigs away from the watchful eyes of police -- and is now afraid of becoming an online target. Facebook and Google have so far declined to comment on Vietnam's impending cybersecurity law, though rights groups have slammed the bill. Khoi said during Friday's meeting with Facebook, she urged the company to prevent government supporters abusing the network's community standards to silence dissidents. "Facebook said they already worked on this. But in reality, in Vietnam, many independent journalists and activists have their accounts locked and the post deleted every day," she added. Placed under informal house arrest in late 2017 after she brandished an anti-Donald Trump sign when the US president visited last year, Khoi was also banned from running in parliamentary elections a year earlier. "I think Facebook should do the right thing to show what they do is protecting freedom of expression," Khoi said.